What is the activity that every one of us does daily at least twice a day? Everyone has a different life from the other, we have different jobs, hobbies and families and we do different activities. But at the end of every day, everyone of us has had the same need or desire and has done this vital activity: eating. When it comes to what we do to keep ourselves healthy and alive, we have the freedom to choose how to feed our mind and body. It’s a matter of choice and knowledge. By choosing the right ingredients we can live longer and better lives. Researches say that our mind, body and skin can have six different benefits by using olive oil daily. 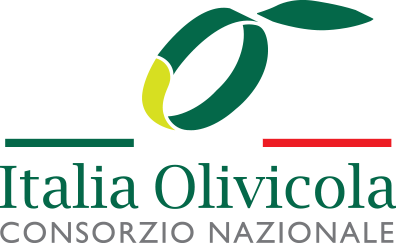 First of all, olive oil is naturally obtained from the fruit of olive tree (Olea europea). It can have different levels of quality. Extra virgin olive oil is the premium type of olive oil and is extracted exclusively from fresh olives, processed within 24 hours from collection, and using a chemical-free mechanical cold-pressed technique. Cold pressed means that the temperature doesn't go below 27°C while processing which allows to keep high the level of polyphenols, natural antioxidants. Additionally, according to the European Union, only olive oils that have acidity lower than 0.8 can be defined extra virgin olive oil, which means that they contain an extremely low level of free fatty acid. Olive oil biological composition is mainly made of monounsaturated fats. The predominant monounsaturated fat in olive oil is called oleic acid. The European Food Safety Authority (EFSA) has confirmed in 2011 that the polyphenol antioxidants and oleic acid contained in olive oil can help lower blood fat and low-density lipoprotein (LDL) cholesterol respectively. Do you care about your parents and friends well being? So don't forget to take care of their hearts! According to Neurology, extra virgin olive oil can increase the concentration of high-density lipoprotein (HDL) cholesterol, which is considered to reduce heart disease such as strokes. HDL in fact can enhance the abilities of arteries to remove vessel wall plaque, lowering the risk of cardiovascular illness. The study also found that eating a large amount of extra virgin olive oil for a year could result in a significant rise in HDL levels. Is anyone in your family or among your friends going through type 2 diabetes? Well, recommend him or her extra virgin olive oil. In fact, the Mediterranean Diet, which is rich in olive oil, can help reduce type 2 diabetes more effectively than a low-fat diet. After 4 years of study, it was found that among 418 non-diabetic subjects, those who followed a Mediterranean diet, had a 40% lower multivariable adjusted hazard ratio of diabetes. Is anyone that you love pregnant? According to the American Diabetes Association, Gestational Diabetes Mellitus can leads directly to 7% of all pregnancy complication. Olive oil can improve the mom's and the baby's well-being. The St. Carlos Clinical Hospital tracked 2,418 pregnant women and it found that adding extra virgin olive oil and pistachios to the diet of a pregnant woman can contribute to reduce GDM. Do you want to protect your kids or family from the worst dangerous type of skin cancer also known as malignant melanoma? The Tel Aviv University found that only 3% out every 100,000 residents in the Mediterranean area have skin cancer. But how is this possible when, for example, in Australia is 50 per 100,000 residents? The right answer is olive oil. In fact, by consuming olive oil, we are enriching our bodies of antioxidants and vitamin E, which lower the exposure to this type of illness. Finally, olive oil helps your emotions and mental pressure. According to BioMed Central, the Mediterranean diet can help decrease any symptoms related to depression. After 12 weeks of study among 67 adults divided in two groups, the one who had consumed vegetables, fruit, fish, whole grains, legumes and extra virgin olive oil, which are the base of the Mediterranean diet, had a depression decrease by 11%, with 32% of the subjects no longer possessing any symptoms related to depression. All these scientific reasons give us a new point of view. They make us conscious that extra virgin olive oil has very different but equally important healthy characteristics that can help our loved ones and us live better and longer lives. It doesn’t just add taste to your dish but it also helps keep your body, mind and skin healthy. So don’t play with your health: add a drop of extra virgin olive oil to your food!